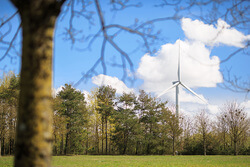 The current trouble springs from changed conditions in the permitting process required for new onshore wind farms which has been getting longer. It can now take over 2 years compared to 10 months just 2 two years ago. Even projects that get a permit are increasingly being challenged in the courts. At least 750 MW of wind farm projects are currently stuck in legal proceedings. The average price of bids in the latest auction was €61/MWh. This was slightly lower than the previous auction in October 2018 (€63/MWh) but higher than May 2018’s €57/MWh.